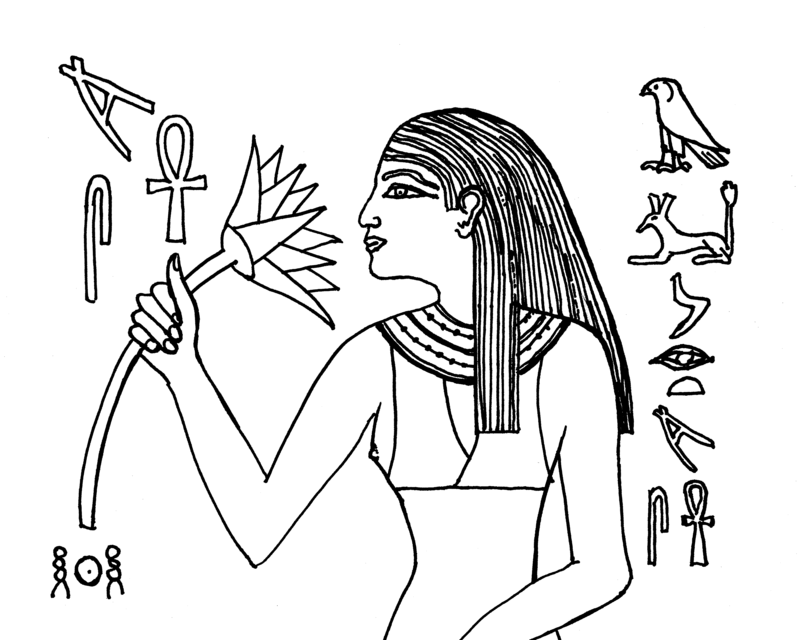 Text: In front of the lady: her name "Meresankh" (She loves life), behind her: "She who sees Set and Horus, Meresankh"
This is loosely based on the mastaba of Meresankh III, wife of King Khafre. I'd made an earlier dreadful attempt. Some of its problems go back to the original image and the way the idle arm just hangs awkwardly. The rest is all my fault. I consulted a few other lily-sniffers, Brooklyn #05.390, and Niankhwadjet at the Met, #X.179. I took the hand positions of the Brooklyn lady and the hair of Niankhwadjet and used those. While the identifying name in front of her is roughly in the same place as the original scene, I took the text from another scene in her mastaba, the scene in which she is standing behind Hetepheres (wearing the "pointy shoulders" dress), and placed it behind her. The "she who sees Set and Horus" phrase is repeated frequently in her mastaba, for instance also on this lintel. I had everything else colored except her dress. I pondered, "White, pale blue, bright lime green, red or turquoise?" 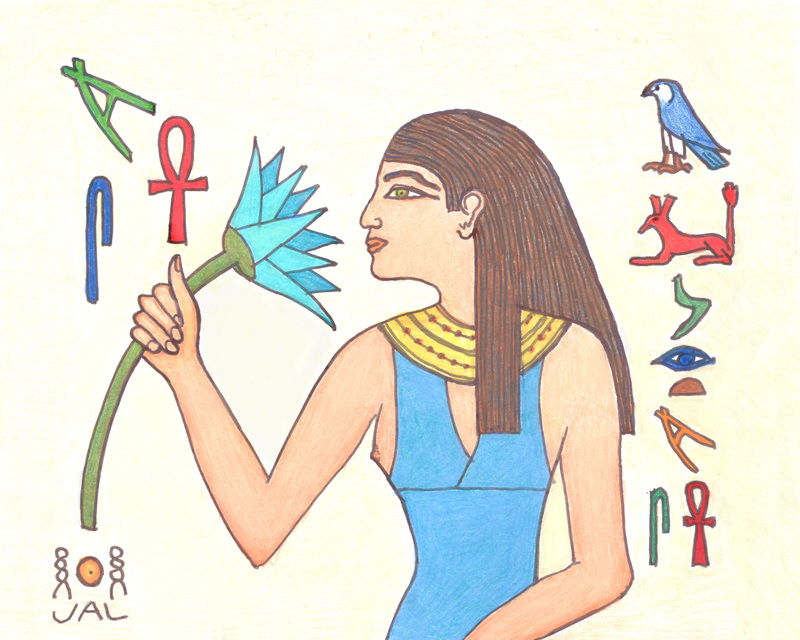 I got inspired by yet another lily sniffer, this one at the Met museum, , "possibly reign of Amenemhat I". The Amenemhat era sniffer is wearing a dress the same color as the flower. So turquoise, it is! A slightly less green turquoise, but rather similar.